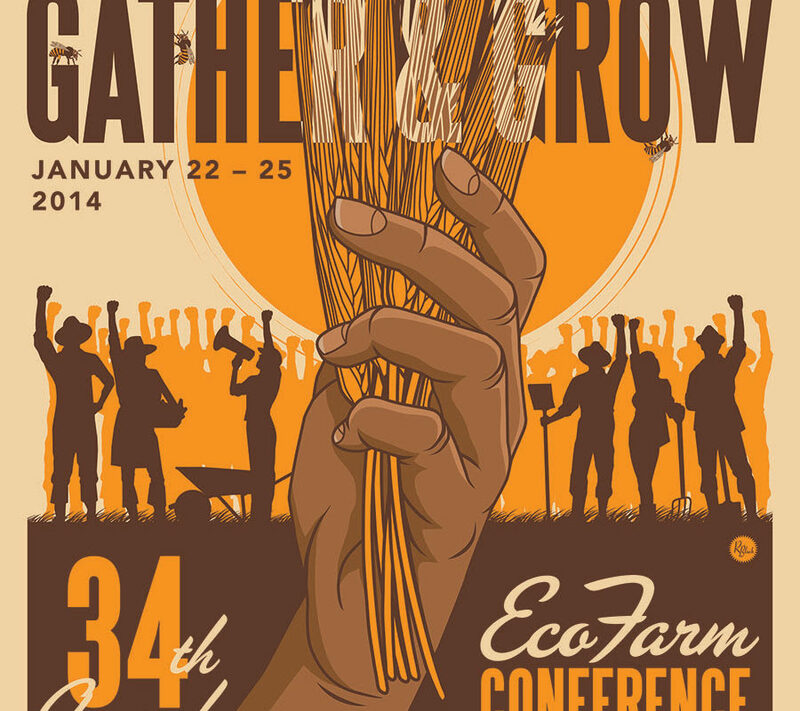 Thirty-four years ago the very first EcoFarm conference took place in Winters, CA. It was called “To Husband, The Earth” and was the brainchild of Amigo Bob Cantisano. At the time, he was running the only organic farm supply company and thought it would be valuable to create an event for farmer friends to gather. So he sent out a mailing and 45 people showed up for a big potluck. Back then, there were no regular gatherings for the organic farming community. All of the typical farming conferences were led by scientists and conventional agribusiness leaders and took place in cities, far away from where the subject matter was actually taking place, both figuratively and literally. Farmers weren’t seen as appropriate speakers in a professional capacity and there certainly was zero emphasis on caring for the earth or its beauty. That spark now draws thousands of people to the Asilomar Conference Center overlooking the ocean in Pacific Grove, CA. Every year in late January, farmers, students and concerned citizens gather to participate in diverse workshops, hear prominent speakers and share delicious meals, all with a nod towards the proliferation of sustainable farming. EcoFarm starts this week and is now run and organized by the Ecological Farming Association, with a full staff and 501 (c)(3) status. But, in the early days, it was just that group of dedicated volunteers who kept things going year after year. One of those people was Dru Rivers of Full Belly Farm in the Capay Valley of Northern California. 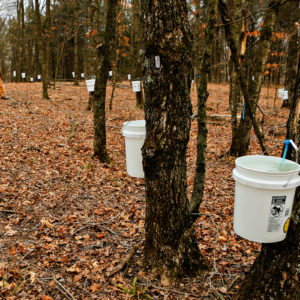 “I was a new farmer and I attended very enthusiastically. At that point there hadn’t been an organization formed to make sure the conference kept going. At the end several of us got up and passed a hat around and collected $223,” she says, which is how the “Steering Committee for Sustainable Agriculture” was formed. Rivers was in charge of getting the committee together and they met about 12 times that year. She was the one using those rub-on letters for the newsletter and now, after 34 years, has never exited the board. She was actually the EcoFarm director for two years and the very first paid staff person. “There was nothing like this at that time, no workshops, no conferences, no field days. Just the fact that we could get together and recognize that we had lots in common was inspiration to do it again,” says Cantisano. So they did. But finding a venue that could fit the growing crowd of attendees that was also in a beautiful location, central criteria for Cantisano, became tough. Over 200 people attended the second conference, which had moved to a larger space in the tiny town of Occidental, CA in Sonoma County. Then a YWCA camp nestled in the redwoods of La Honda became the site for the next few years. There were cabins and a big kitchen space, so they could house people and extend the conference to two days. Even still, when over 500 people were cramming in, it was time to move. “Asilomar became the only viable spot that was both beautiful and large,” says Cantisano. They have been there ever since. 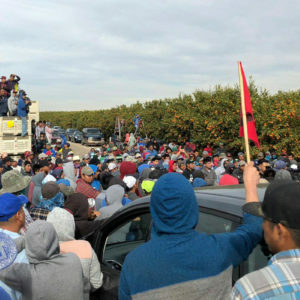 The disconnect between what these farmers were promoting and growing and learning and then what they were given to eat at the conferences seemed ridiculous. And it is an issue that remains today while the corporate food industry maintains power over almost every location that large meetings tend to be. Todd took that on, in a time when “farm to fork” dining was hardly a term. What began as a volunteering role for the first few years turned into a job for the next 30. “I missed out on the conference because I was always in the kitchen, but I felt very honored to be able to support it in that way. I wrote a cookbook called Nourishing a Vision, because that’s how I felt about it,” says Todd. The dedication to keep the event going has worked, driven by the initial excitement of being on the crest of a movement. During the early years, the very first organic food laws were being crafted in California (the California Organic Food Act was signed in 1979). The tireless efforts of the movement have paved the way for much advancement today, from the popularity of farmer’s markets to a vegetable garden on the White House lawn, but we are still a long way from seeing a sustainable food system. This is why EcoFarm remains relevant and essential today. “Why it (EcoFarm) stuck is because after all these years, the organic industry is still miniscule compared to the rest of the Ag sector. I thought when Obama took office things would change, but there’s a lot of compromise in Washington. Until our government recognizes how important it is to have a farming system that lasts for centuries, we are gonna be there,” says Wittman. 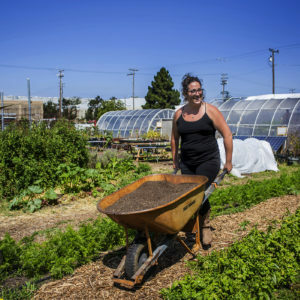 EcoFarm offers respite,but it is also rewarding for the folks growing our food and doing the brutal, often thankless, hands-on work that is required in building a better food system. Your efforts have lead a great pathway to helping the unaware public better understand the need to be conscious about what we put on our plate and in our bodies. Through the years many have followed your cause as you have mentored many along the way. A suspicious convert who has become a follower through the years. Thank you for fighting the great challenge of big agri business.